I’m excited to share this quilt pattern with you all that has been floating around in my brain for so many years now. I’ve shown versions of it before and had requests for the pattern, so here is your chance to finally get it. 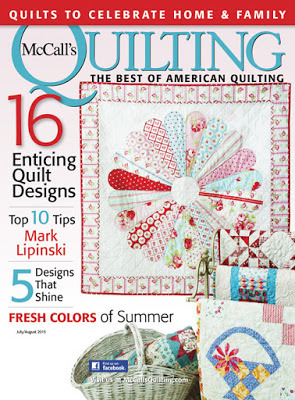 It is featured in the McCall’s Quilting July/August 2015 issue. It will be available on newstands starting June 2, 2015 though you may already have it in your hands if you have a subscription to the magazine. I originally designed this quilt to be a toddler quilt for a little boy who was finally finding his forever home with his parents who are US citizens and he was from Guatemala. It was so exciting to welcome this new little US citizen to our country and I have loved seeing him grow up in his family securely loved. I was there at the airport when his dad got to meet him for the first time (he was not able to go with his wife to pick him up in Guatemala) and I will remember that moment for my entire life. It is one of the most precious gifts to watch a parent greet their child for the first time and fall head over heals in love. I love this quilt for its simplicity but seeming complexity. It is perfect for precuts and works well with both modern and traditional fabrics. I have a mix of both in my quilt and I love it. 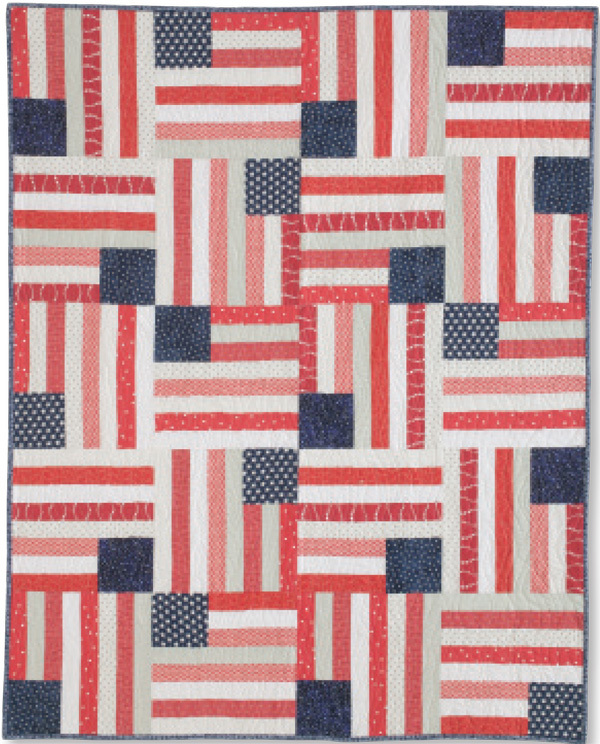 I need to make a large version for a picnic quilt for the fourth of July and such. It is easy to make smaller or larger but just adding more blocks and comes together quickly. I love when I make a quilt and I want to make it again…only BIGGER! Make this one and LOVE it. Use it. Spill drinks on it and dance with sparklers. It’s just begging for that. Your pattern makes my heart sing. Thank you for putting it together. Well isn't that just the loveliest comment ever?! Thank you! 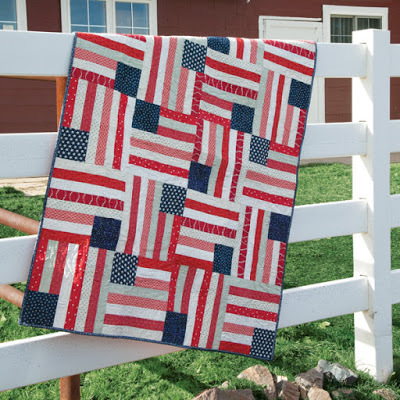 What a great idea for a beautiful U.S. quilt! Abrazos para un fin de semana pura vida! Love this quilt. Its a perfect quilt to hag on my front porch. Yes! I love how they styled it for the shoot. I want to do just that as well. Welcome! You’ve found the website of Angela Pingel, designer, author and quilter. Angela is a 30’s something wife and mom, winding her way between family life and fabric.